Yep. You heard that right! 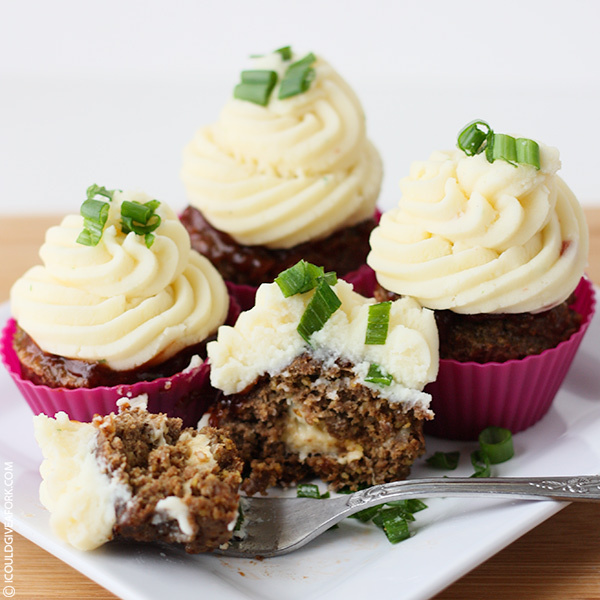 Meatloaf Cupcakes with Mashed Potato Icing! Plus some green onion sprinkles …and a filling made of mozzarella cheese. They are almost too pretty to eat, huh? These are the cute silicone baking cups that I used. I love them! I love meatloaf. 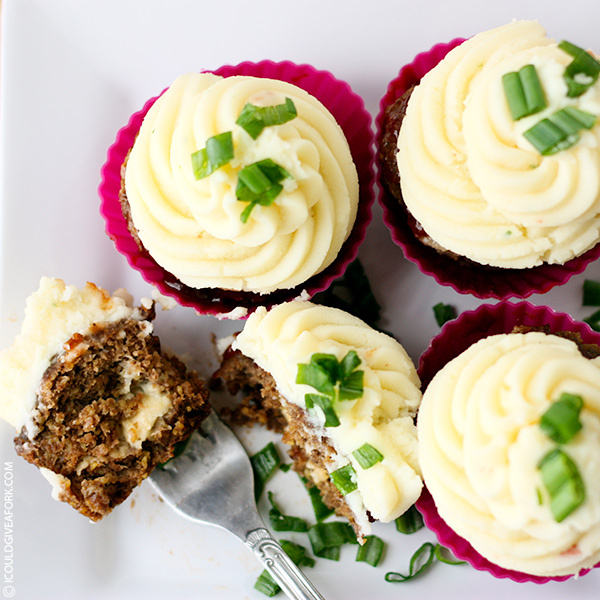 I mean I really LOVE meatloaf and I have 3 recipes that I make on the regular, each equally delish, but I recently got a recipe for bbq meatloaf with mozzarella cheese on the inside, so I had to make them and let me tell you this – they didn’t last long. My goddaughter even loved them, and she’s a picky eater so this was a total triumph at my house. Thankfully for her, she was fed well while she was here for 7 months. I bet she misses me, although I doubt that she would admit it …because she’s 10. At 10, they don’t realize how good they really have it, do they? Love her. Miss her more than I miss about anybody actually. These are for you Abbi! Make your momma whip up a batch and think about how much you love your Aunt Lynne when you eat them! 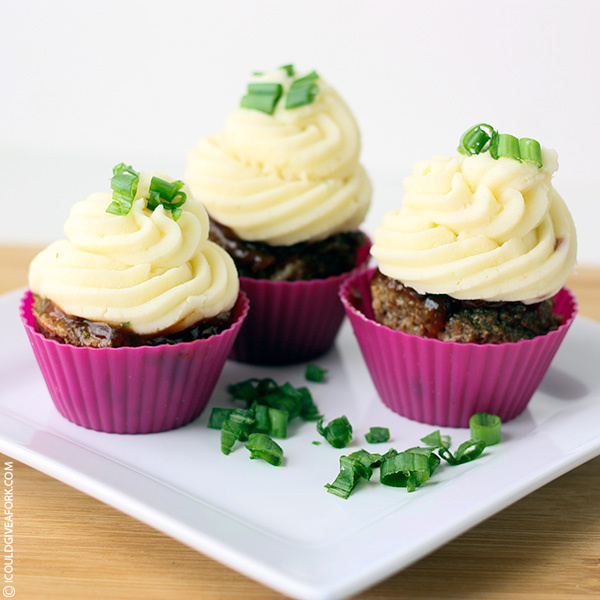 1 lb lean ground beef - the leaner the better because when you make these in a cupcake tin grease is your enemy here! Bake at 350 degrees for about 30 to 35 minutes, depending upon your preference. I know someone who likes them almost burned - to each his own I say! I put my mashed potatoes into a pastry bag and piped it on just like icing then topped with some sliced green onions! It looks correct on two laptops, a Samsung Galaxy Note 4, Samsung Galaxy Tab 4, iPad 2, iPhone 4s and 5s and everything else. It’s a completely responsive design so it looks like the problem may be on your end.